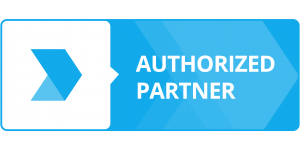 Our Digital Corporate Training content is developed and created by Digital and Social Media marketing experts who work in agencies and are required to keep up with all of the most recent industry best practices, strategies and updates. Whether you have a small team that needs to start their training from scratch or a large marketing team that simply requires upgrading their Digital and Social Media marketing skills, yourDMAC Corporate Training has been carefully developed to meet your goals. The age of Digital Transformation has arrived. Research conducted by the Digital Marketing Institute across several industries in the USA, UK, and Ireland highlighted the fact that there is an unavoidable and growing skills gap that affects organizations’ abilities to successfully leverage Digital. We also know that as a marketing professional or a business person, you don’t have months to learn how to do your job. You are expected to deliver results quickly.​ Stay ahead of the Digital Transformation curve. Arm your corporate team or marketing professionals with the most updated Digital and Social Media marketing skills available and help your organization grow its online revenue and Digital presence.